It’s August and it’s time to celebrate and learn about the Ponytail Palm. The ponytail palm’s scientific name is Beaucarnea recurvata. This plant is also known as an Elephant’s Foot. It is easy to guess where both common names came from just by looking at the plant. The base of the trunk looks like like an elephant foot. Meanwhile, the leaves look like hair pulled into a ponytail. It’s a little bit of a crazy ponytail but still, it’s not hard to see why this name was chosen for the plant. Plant names can be so fascinating. Although it has the word palm in its name and looks similar to a palm tree, it is not a true palm tree. The ponytail palm is more closely related agaves and other similar plants. While you can buy small ones that work as tabletop plants, these palms can grow much larger in the ground or in larger containers. When the leaves grow longer, they begin to curl up as seen in the picture above. The extended base of the trunk is a caudex. The caudex allows the plant to store water. These interesting shaped plants like bright light with well draining soil. The soil needs to be kept fairly dry in between watering every two weeks or so. When it is watered, it needs to soaked until the water runs through. But, it is important to not let the plant sit in the water. 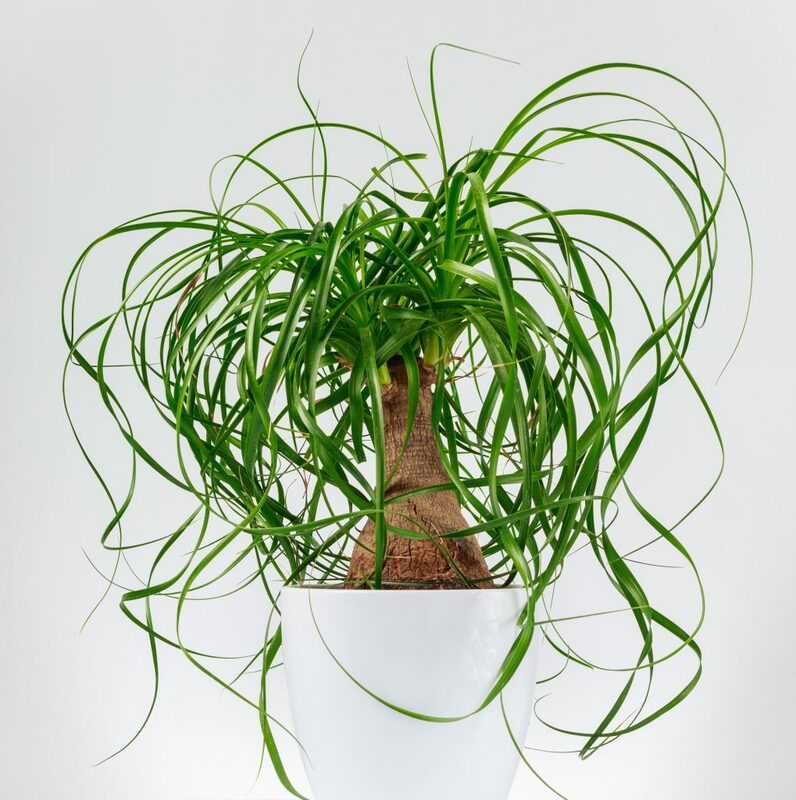 The ponytail palm is a good plant for beginners or those looking for low maintenance plants. The biggest thing to watch for is overwatering. At Interiorscapes we have used ponytail palms in a variety of ways. 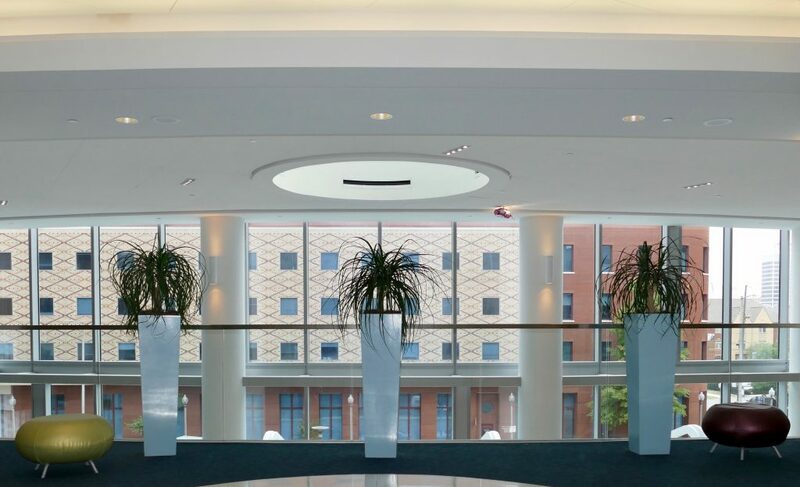 We have used it in atriums with many plants to add accents to the larger picture and in open spaces on its own to add a pop of green and elegance. It is an interesting and versatile plant that is great for interior plant design. Check out our largest ponytail palm. Pam, head of plant quality assurance, stood by it for scale. We have had this plant for years and it is thriving!